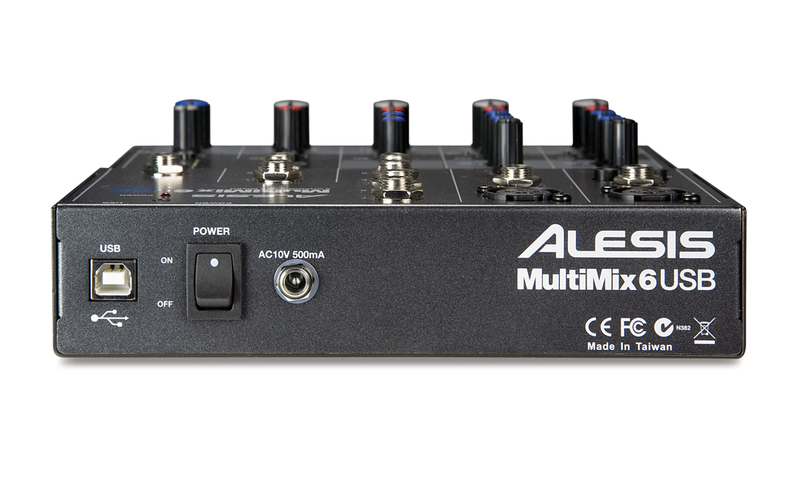 The MultiMix 6 USB mixer has six input channels, all of which can accept a 1/4" line input. 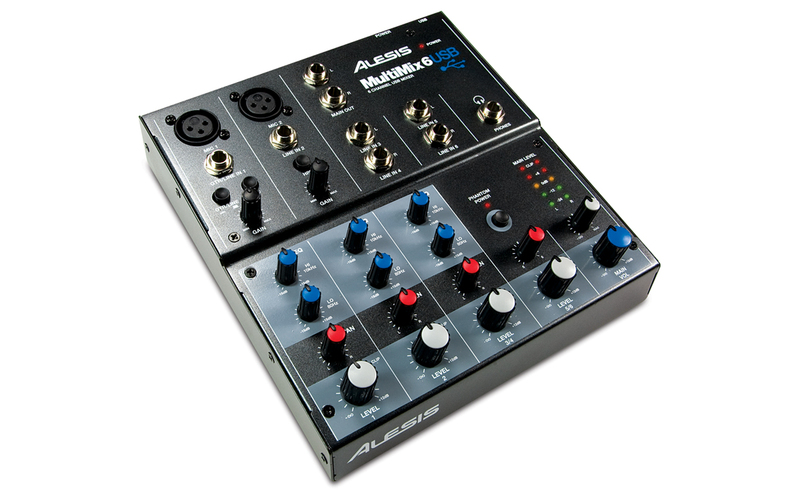 You can can plug XLR microphones into channels one and two, including condensers thanks to the mixer's switchable 48V phantom power supply. You can also plug a guitar or bass directly into channel one's switchable high-impedance input. Channels one and two offer switchable high-pass filtering at 75Hz to eliminate low-frequency rumble, handling and wind noise. Each channel has a pan control and channels one, two, three, and four provide high and low-shelving EQs. Channels one and two have independent gain trims, while channels three/four and five/six are configured as stereo pairs at the level and pan controls. 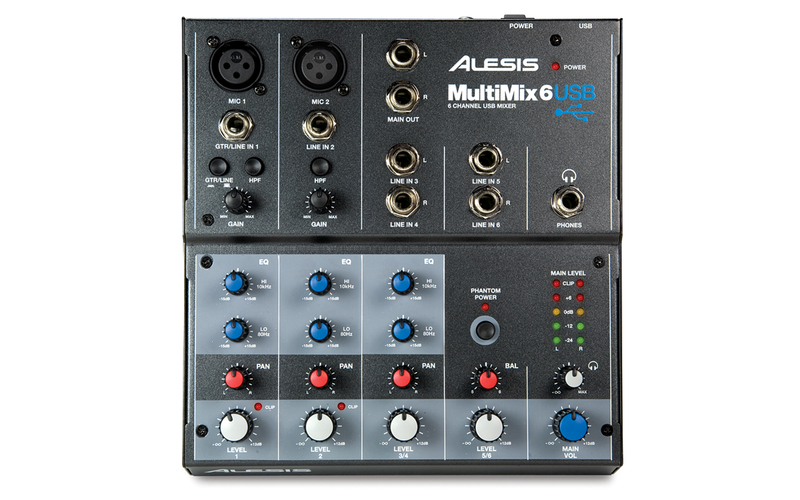 With flexible inputs for mic, line, and guitar-level sources, and a built-in USB computer recording interface, the MultiMix 6 USB is the compact choice for full-fledged mixing and recording.